In this issue, I’d like to discuss in brief a book called “The Adult Years” by Frederic M. Hudson. The book talks about how we can master the art of self-renewal. Reading this book gave me an in-depth sense of self reflection and has given me inspiration about a fundamental change of consciousness, from a linear to a cyclical perception of how life should work. The linear perception is about better lives and society from year to year, generation to generation. The linear ways also talk about predictable sequences in learning, loving, working, living, leading, and succeeding. Life is viewed as an orderly developmental moment according to universal rules and principles. Hudson mentioned in his book that Ecclesiastes expresses the cyclical view: “To everything there is a season, and a time to every purpose under the heaven; a time to be born, and a time to die; a time to plant, and a time to pluck up that is planted.” This verse suits the cyclical ways. I loved how Hudson said it in this book; that life is viewed in cyclical ways. This means that life is going in circles; it is repeating but it has different significance at each time in our lives. I am so thankful to Dr. Bergquist and Dr. Weinberg who introduced me to this book. Through this book I am convinced that life is valuable, even as we are all getting older. We can master the repetitive patterns in our changing occurrence, to look for our meaning in the ongoing flow of our daily experience, from hills to valleys, with ups and downs, from night and day…. I would love for other people to check this book out and hear what they have to say about it as everyone has a unique perspective. See you in another edition. Sadly, we must report that one of our graduates, Eric Culpepper passed away this year. Eric is remembered by those of us who had the privilege of working with him as a man of great generosity and energy. Eric offered his home for class meetings (when PSP was first searching for a home in Sacramento). He served as a school psychologist for more than 30 years and was a “fierce” advocate for children during his many years of clinical practice. Please let us know about the changing status of other PSP graduates – achievements, life transitions and loss. We now know that the Yearly Gathering is an important and unique element in the PSP doctoral program. As part of its Hybrid Model of Adult Education, PSP will continue to convene the week-long Gathering each year bringing together students from around the world. Held during the second week of August in either Asia or North America, the Gathering provides a distinctive opportunity for students to not only complete two courses (the Gathering is supplemented by several digitally-based course sessions before and after the Gathering), but also meet with their fellow students in an intensive residential setting. The Gathering is held in a retreat location that provides beauty and tranquility, as well as access to local arts and diverse market places. Most importantly, it provides students, faculty, administrators and PSP Board members with an opportunity to share meals, walks, and entertainment with one another – and with the essential opportunity to talk with one another about educational experiences at PSP. While most of the courses at PSP are being held via distance education, the presence of a yearly residential experience further enriches the educational experiences of PSP students – a Global community of life-long learners emerges and is reinforced by each of the Gatherings. In 2019, the Gathering will be held in North America – at a New England Inn in Brunswick Maine. As in the case of the previous two Gatherings, our Brunswick Maine location combines the beauty of the Maine coastline, with easy access to great food (including lobsters! ), wonderful shopping (the legendary L. L. Bean is nearby), entertainment (award-winning summer theater) and, of course, the joy of collegiality. Three courses will be offered during this weeklong event: (1) history of psychology (West and East), (2) neurobiological assessment, and (3) organizational intervention (with a focus on a very powerful analytic tool called “polarity management”). As an alumnus of PSP, we invite you to consider attending the 2019 Gathering at no cost (other than your own travel, room and board expenses). During each of the first two Gatherings, a PSP alumnus attend all or part of the event—and found their time to be quite memorable. 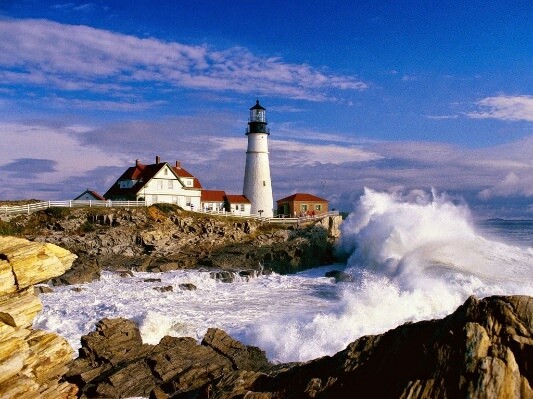 Would you like to attend our Gathering in Maine? We can put you in touch with those attending the first two Gatherings so that you can get a better sense of what it is like to return to the rich learning environment of PSP. The new administrative structure at PSP is now in place and working quite effectively. As we mentioned in our previous newsletter, the redesign of PSP’s administrative structure was necessitated by our shift away from a cohort-based model of education to individualized course planning. This restructuring has also been engaged in response to PSPs further expansion of its global classroom. We found out at our last Gathering in Bali, that our school needed a more focused attention to student services. We realized that each student needs to meet regularly with a PSP administrator regarding the courses they will be taking during the coming term. How these courses align with our students own established (or shifting) career interests.? Dr. Gay Teurman is now providing these valuable services in her role as Chief Student Engagement Officer. Our other major new appointment this Fall was Dr. Ronit Bisson—who is serving as Chief Academic Officer. Assisted by Nitzan Erez as Program Coordinator. As a reflection of PSP’s emergence as a global graduate school, it is interesting to note that Dr. Bisson lives in Barcelona, Spain, while Ms. Erez lives in Northern Israel. It is sometime a challenge to find a time of day when we can all meet (without having to wake up at 2am in the morning!!) – however it is wonderful to see the actualization of this globalization. Dr. Kathleen Ayers continues to serve as Chief Operating Officer at PSP—though she has moved with her family to Texas. Among other things, Dr. Ayers is responsible for our California state approval process, as well as our work with both our regional accrediting body (WASC) and the Distance Education Accrediting Council (DEAC). Our dedicated Operations Manager, Melissa Lilley, continues to oversee the ongoing daily functions of the School and manages financial matters (working alongside our President, Dr. Bill Bergquist). Dr. Bergquist continues to serve as President of PSP, focusing with our Board of Trustees and Dr. Ayers on the strategic planning process at PSP, as well as the ongoing and expanding collaborative venture with the Adler Graduate School in Toronto Canada. We hope during the coming year (2019) to report more on the collaboration with Adler, as well as provide you with a score card on how we are doing in implementing our strategic plan. Our globalization is now in full force. We are enrolling students from Israel who will participate in our Integrative Program (involving students from countries other than just Israel). Our recruitment of students in South East Asia is stretching beyond the boundaries of Singapore and Indonesia—with students now enrolled from China and Australia. We hope soon to announce a major new graduate initiative in one or more other Southeast Asian countries. Our students also continue to come from both the United States and Canada. We have begun to attract students from Africa and hope that South America is not to far in the future. European recruitment might have to wait for accreditation or a formal alliance with the Adler Institute (which has an accredited Masters program and is in the midst of gaining accreditation for its Doctoral program). In our previous newsletter, we asked for your assistance as a graduate of PSP in providing or helping to set up internships for our students from outside North America. We could still use your help. Some of our international students from Asia are seeking experiences in U.S. psychological settings. Could you help one of these students in obtaining this experience? This would be completely voluntary on your part, providing exposure to different environments, for a few weeks at a time. Students would not be providing services, so supervision is not required. Students would not be paid and would be expected to take care of their own accommodations. If you are interested, please contact Melissa Lilley in the PSP office, either at melissal@psychology.edu or at 916-641-6542.